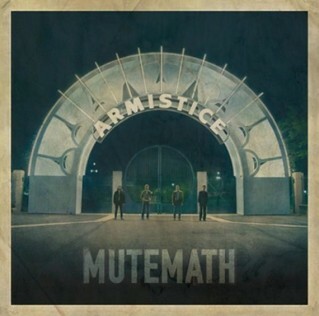 From small club shows to stadiums and national tv, Mutemath has returned with their second full length Armistice. And honestly it’s been hard for me to make it through the record start to finish. It’s not that the album is bad or the songs don’t seems to work, it’s more that I’m bored. The energy that is Mutemath live is still yet to be captured on album. Put these boys in the studio together at the same and roll tape. The songs are good and move from one to another with ease but there isn’t really anything on Armistice that we haven’t heard from them before. The albums opener, The Nerve, is my favorite. It’s an up tempo, drum driven, funk rock track. Tracks like Backfire, Spotlight, Electrify, and Burden have the elements to be great rock tracks but the energy coming out of my cd player never seems fully realized. The production is tight and songs are well written, well performed, and good. Maybe I’m not hipster enough to get it, maybe I’m not the target audience, maybe my love for Earthsuit clouds my judgement of Mutemath, I don’t know. If you were a fan of Mutemath before this record, you’ll enjoy this record and continue being a fan. If you weren’t… there probably isn’t too much hope of that changing. This album seems a little more streamed line the the self-titled but the songs sound like Mutemath and they haven’t strayed very far from the path.